A favorite output device, speakers, convert electromagnetic waves into sound waves to magnify or alter the form of audio that has been input. Speakers are classified by the devices they support as well as the frequency and amplitude of the waves they create. There are also different types of speakers, depending on whether they are being operated indoor or outdoor. Our homes are now furnished with the likes of flat-screen TVs and computers, laptops, tabs, music players, and iPods. These devices themselves need supplements to make the experience of using them even more memorable. Now, we have speakers that can stand on their own to ones that need to be rested on smooth surfaces, speakers that support theaters to those which only support music players. Choose which ones you need! These speakers, also known as tower speakers, are known as free standing speakers because they can stand on their own, usually placed on the floor. They have been around longer than surround systems and can still outmatch most speakers in terms of power and definitely in terms of size, with only home cinema speakers outpacing it. 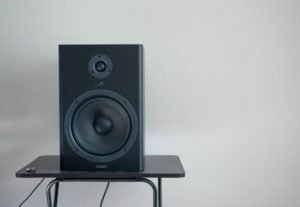 As can be understood from the name itself, bookshelf speakers are designed for setting up not on the floor but on the countertop of a bookshelf or computer desk. 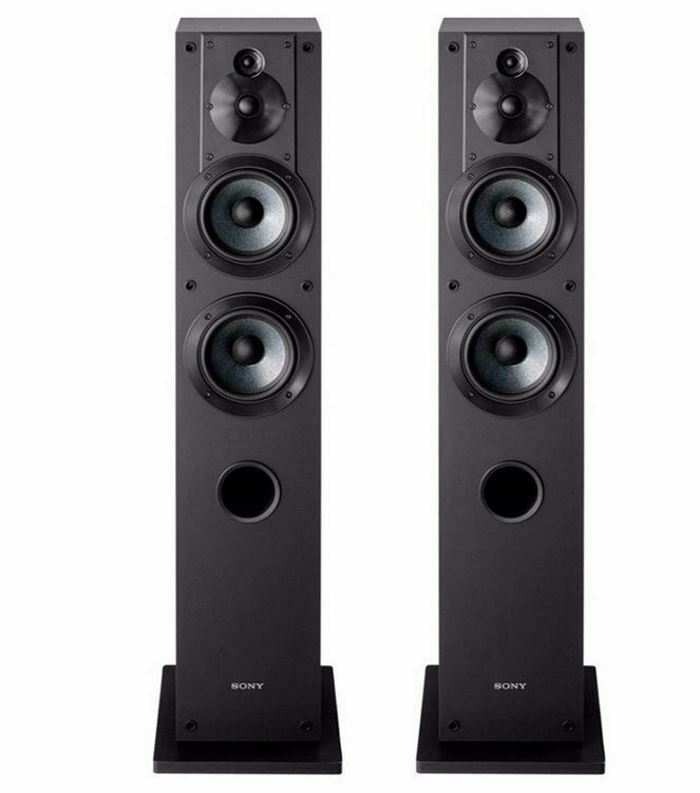 Although they are not as powerful as floor standing speakers, due to their optimum placement where noise reaches ears faster, the sound frequency is given off correctly. Whether they are big or small, bookshelf speakers are sure to fill up an entire room with sound. There are probably hundreds of models that could comfortably fit in any place, offering perfect audio quality. If you are looking for exceptional performance, it may be a good idea to read our Klipsch B-20 Synergy review. Subwoofers are different from their counterparts for the unique central feature of being able to emit low-frequency bass. They usually work as a supplement to surround sound systems but can really bring out the special bass effects while watching particular types of movies or programs. They come in different sizes and power levels, but a subwoofer that can be powered on its own is usually preferred. As a matter of fact, users state that bookshelf speakers bring sounds to life, with their sheer perfection. 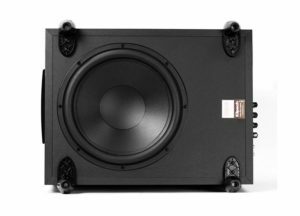 The most frequent complaint about this type is insufficient bass depth, so adding the subwoofer like Klipsch Synergy Sub-12 is an idea worth considering. 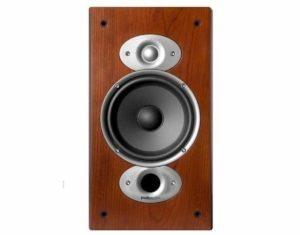 Floor standing speakers usually are larger in size than its peers in the category of indoor speakers because their structure allows them to be placed on the floor on their own. They are also more powerful in terms of noise decibels and therefore, are even more expensive to buy than other types of indoor speakers. Soundbars allow you the listening experience of the same kind of sound like a home theater speaker system, but instead of taking up a lot of space, these TV speakers are compact in nature and only demand the space of perhaps even a single cabinet. They may also be tall in structure and can stand on their own. The perfect negotiation, when you cannot pick between different speaker sets, soundbars are ideal for customers if they are looking for something moderately expensive. For instance, not everyone is willing to buy a home theater system. Also, the television’s audio system may not be up to par. In such situations, one could buy a soundbar that does well in dealing with both the issues mentioned above. 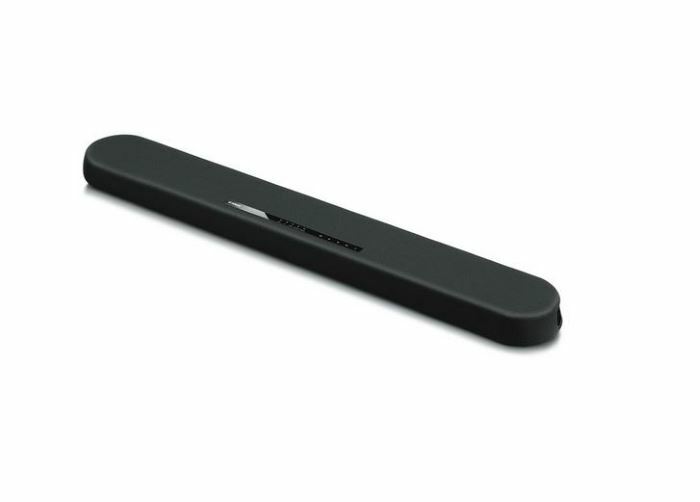 Soundbars are literally shaped as bars. Some soundbars provide clear dialogues and terrific overall audio quality. Moreover, they suit any kind of setups that the users decide on. Although most require analog connections, a few come with Bluetooth options. Speaker docks are gadgets that can support an electronic device by operating its regulator, such as playing back music, as well as even recharging the device’s battery. Connection takes little or no effort, and there are speaker docks that do not require any kind of plugging in of cables at all these days. Philips Fidelio DS8550 is a high-fidelity portable docking speaker for iPods and iPhones that is designed mainly for music lovers on the go. You simply need to dock your iPod or iPhone on the Philips, even with protective cases on, and you can start listening to music. Almost all iPod (except iPod shuffle) and iPhone models are supported with the use of its Universal Dock Connector. You can unlock more features of the Fidelio DS8550 if you are using an iTouch or iPhone through its free Fidelio App. This exclusive app allows you to browse your music more efficiently, check the battery life and control sound settings. You can even have your favorite music as your alarm through the Fidelio App. You will be able to listen to music continuously for up to 8 hours as it comes with rechargeable batteries. Philips Fidelio Portable Speaker Dock is able to block mobile interference when receiving calls as it features a unique shielding technology. The package also comes with an AC adapter, neoprene carrying case, 2.5 mm auxiliary cable and user’s manual. The price of the Philips Fidelio is reasonable given its top of the class sound technology. You will be able to hear and feel clean and profound deep bass while still listening to the details of your music thanks to Philips’ wOOx technology. Fidelio speaker allows you to emphasize the bass content of your tunes and have a more vibrant and more robust sound by activating its Dynamic Bass Boost (DBB). The Fidelio speaker has an elegant and slim profile so that it comfortably fits any suitcase. The speaker is particularly protected from wear and tear when traveling as it has a sturdy aluminum finish. You will be able to carry the Portable Docking Speaker anywhere with you as it comes with a carrying case. The Fidelio DS8550 is if associated with an exact category of items, a speaker dock. This, of course, requires it to be connected to a device capable of playing audio. Fortunately, compatibility is never a worry when using this fantastic device. Even though the DS8550 costs more than the older models, the new functions of Bluetooth support, easy charging, sturdier metal frame, stronger controls and a more impressive design, has made it a hit among older and newer customers alike. The sound quality of this speaker dock is top notch, and it provides tireless entertainment in its line of products. Bass, treble and enhanced audio detailing; everything is controllable and well in this Philips speaker set. The handle attached to the back makes the whole device easily portable, and using built-in batteries, these speakers work even without being plugged in. One con that has arisen with this model is an issue with the remote’s function. When the speakers shut down on their own, it is impossible to have them turned back on without using the remote. This causes specific problems in managing the mobility, but that aside, the new and fresh feeling of the Philips Fidelio DS 8550 is noteworthy. Portable Bluetooth speakers saved us from the trouble of connecting cables to a device to reach higher sound quality. Although now we have numerous types of Bluetooth speakers, each with a different function or serving a specific model, the primary purpose remains the same: no more speaker cables. As the name suggests, computer speakers are built solely to magnify the sound emitting from computers and other such devices such as a tablet or laptop or even a music player. They come in a wide variety of types; from stereo speakers to even home theatre surround sound systems. Home cinema speakers are a necessary device if you wish to enjoy full-fledged theater style cinema experiences on your flat screen TVs. Why is it essential? Nowadays, most films are made for a surround sound system so watching a movie without the home cinema system means missing half the fun. The name itself says it all; these systems could fill an entire room with its audio input, as it is meant to do so. Coming in countless makes and models, home cinema speaker sets have immaculate structures and look. While the first few models may have come in pairs, today’s home cinema sets have even five or six speakers. Naturally, this adds tons of fun to the cinema-at-home experience. Compared to the bookshelf models and soundbars, the home cinema systems are often more powerful. Also, they are a sublime addition to your home décor and entertainment. A small home theater system with powerful sound – this is the best way to briefly describe the product in this Mirage Nanosat 5.1 review. It is the best speaker system that will let you experience being in a sold-out concert or perhaps a movie premiere in the comforts of your home. It consists of five satellite speakers that work as front, center and surround channels and a subwoofer combined with patented technology and high-quality materials to allow users to experience a live event the best way possible. Mirage Nanosat 5+1 set brings home theater system to the next level thanks to its patented Omnipolar technology which is able to provide 360-degree sound which means that it will work with your room rather than against your room to create the proper proportion of sound. It does not matter where your place your Nanosat 5.1 in the room as being Omnipolar speakers means it can perform optimally regardless of where you put it. It also features the patented Omnipolar module which has an innovative design that includes two deflectors. The smaller deflector is placed on top of the speaker’s tweeter which, in itself, is set in a larger deflector that is suspended over the woofer. This design helps the module diffuse sound the way the ear and brain are used to receiving it. Thirty percent of the speakers deliver direct sound, and the other seventy percent disperses sound by reflecting it off walls, ceilings, floors and other surfaces. What makes the 5.1 Nanosat speaker set more superior than other home theater systems is the fact that it includes 5 matching satellites and a subwoofer. These all work together to provide you with a viewing and listening experience unlike any other. It is also quite compact which means it suits any lifestyle – whether you are at home or on the road. It has also been magnetically shielded to avoid interference with the television. The system has a great design making it a great addition to your home. The satellites are finished in brushed black aluminum, and its subwoofer is painted black with a satin finish. Industry experts are very impressed with this system, particularly at its small size. Many of them said that they are not expecting it to be as powerful as it is because of its tiny package. One Mirage Nanosat user testimonial told that it is quite possibly the best “lifestyle” satellite or subwoofer system in the market. Most consumers have rated it highly because of its fantastic sound quality. There are a few complaints that with its price, the “Mirage” logo on the speaker system could have been an emblem instead of a sticker. Overall, both industry experts and consumers are impressed with the Mirage system and agree that it currently is one of the best speaker systems. There are basically two more popular types of surround systems, and they are the 5.1 and 7.1 sound systems. The 5.1 is made up of five satellites and a subwoofer, thus the term “5.1”- the 5 is for the five channels, and the .1 is for the subwoofer. The 7.1 is quite similar except that it has two additional speakers. Center speaker is one of those types that work as a complementary device to the surround sound system. The center speaker is not connected to the left and right front channels so the volume can be adjusted accordingly without having to change the volume of the two channels. This offers a lot less hassle while watching films which are action-packed and provide more sound at different times. These are loudspeakers that come with an additional amplifier for increasing the power of the emitted sound. Built-in models are preferable due to their compact nature; they do not take up any extra space on floors and shelves. The necessary wiring may be tactfully hidden behind the walls, reducing unnecessary hassle. There are mainly two types of these speakers: in-ceiling and in-wall speakers. The term speaks for the product itself: in-ceiling speakers are placed into ceilings to leave more space for floors and also effectively to reduce the possibility of people tripping over wires. Another advantage that comes from using this kind of loudspeaker is that the sound emits from up, producing a more significant effect. 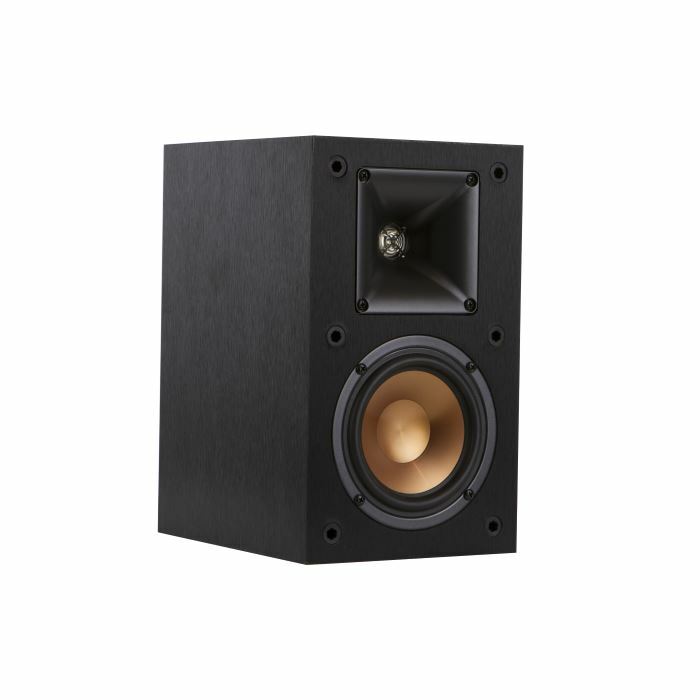 They may be a bit harder to install, but they have one undeniable quality: they effectively emit higher sound quality without disturbing the aesthetic quality of the room they have been set up in. The wires attached run through the wall and come out from drilled studs at the floor or ceiling. Speakers are required to enrich the sound quality inside not only our houses but also other locations where we spend our time, like your garden or poolside. Outdoor speakers can bring sound to us anytime and anywhere without getting in our way or standing out in public spaces, be it through outdoor wall speakers or rock speakers. Commuting to and from work has become such a regular aspect of our life that adorning your prized vehicles with the right speakers seem an equally standard protocol to follow. Considering the fact that there are different kinds of cars with their own sizes and models, speakers too have been classified accordingly. The most popular form of vehicle is the one with the larger number of type of speakers. Indeed, there are three main types of units for vehicles: component, subwoofer and coaxial. In case of component speakers, for the perfect sound quality to be achieved, three items need to be installed: tweeters for highest frequencies, woofers for the lowest and mid-rangers work in-between the extreme levels. 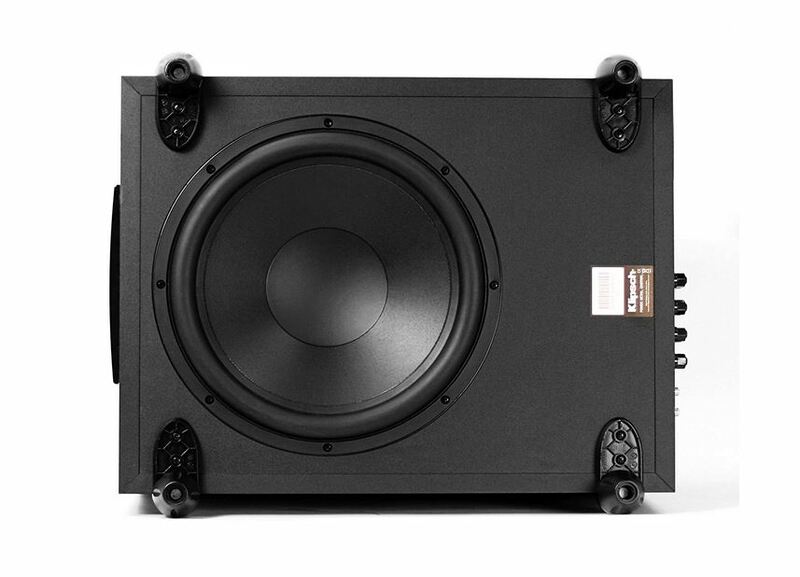 Subwoofers may also be considered a form of component speakers as like tweeters, they also allow buyers to enjoy the highest sound frequencies. They can even go up to 200 Hz but may be altered to operate at around 80 Hz. Lastly, coaxial, or “full range,” speakers work as a single unit to produce all ranges of sound frequencies instead of using multiple components. This also makes them less expensive and at the same time, more compact. Although boats usually have their own set of audio speakers, marine speakers are a must if you want a product that is well built enough to withstand adverse weather conditions and the sea levels while at the same time, powerful enough to produce excellent sound quality amongst all the other marine noises. You no longer need the assistance of Bluetooth headsets attached inside your helmet to accompany you as you venture out for the ride of a lifetime. Motorcycle speakers can be attached between or on the handlebars of your vehicle, allowing you and a fellow passenger to enjoy perfect sound quality, without distracting you from driving. How do bike speakers work? It’s a simple procedure. These speakers can be synced to Bluetooth devices so just connect the speaker to your phone or any other audio device and stream music to the speaker. These products are usually waterproof and have a long-lasting battery, so you don’t have to worry about the music stopping down.